NDU should have already discovered where AmiBroker is installed and taken note of the program version. 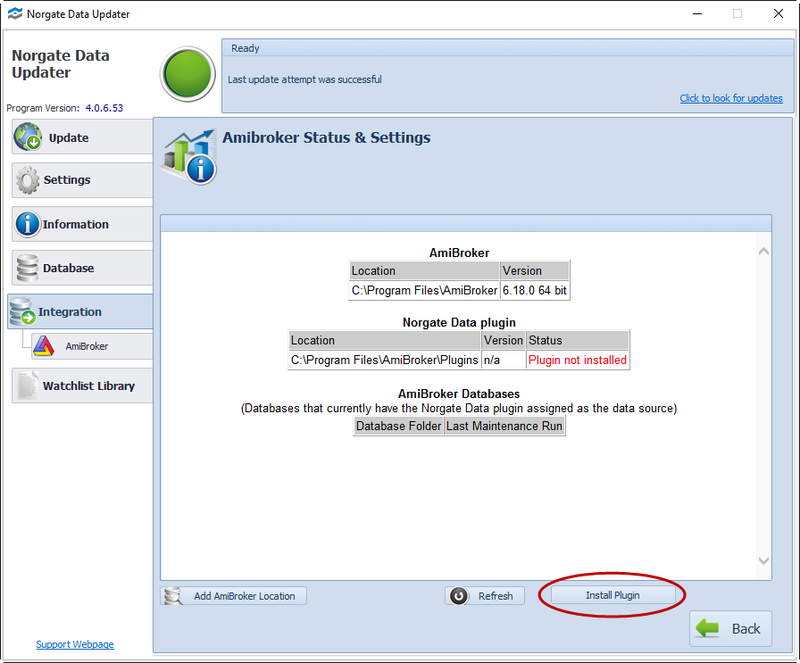 If this information is already displayed, click the button to "Install Plugin". 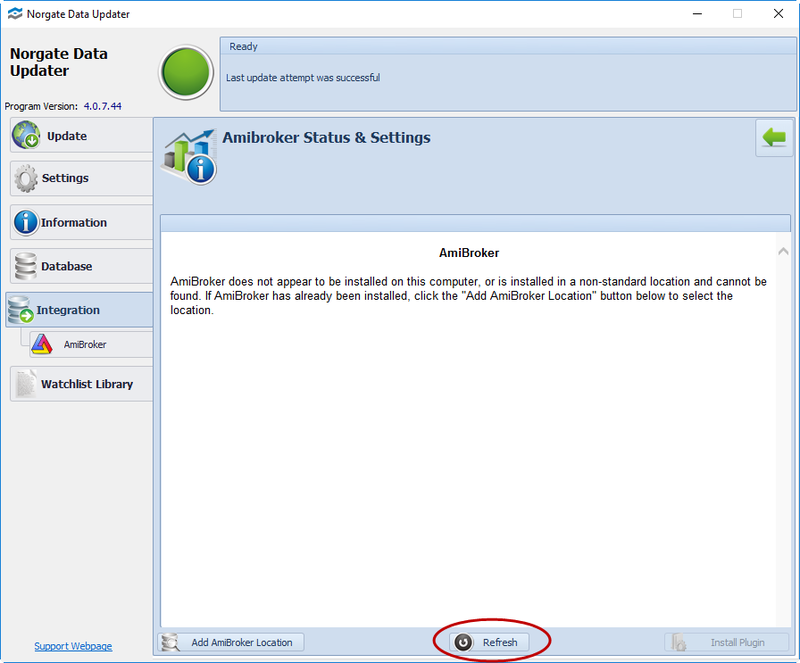 If NDU hasn't detected your AmiBroker installation, the Install Plugin button will not be active. In that case, click the "Refresh" button for it to search again. 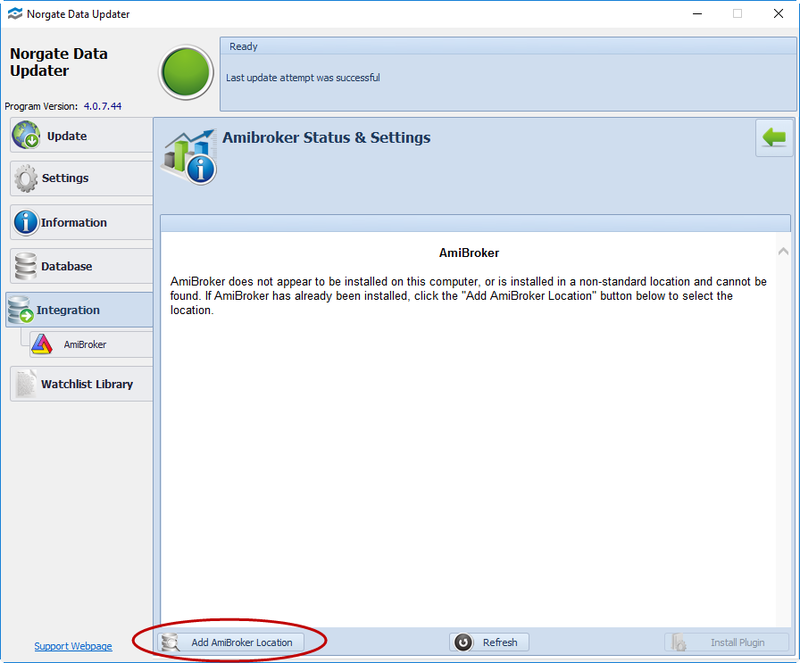 If the installation remains undetected, click the "Add AmiBroker Location" button and then navigate to the AmiBroker installation folder to select it. 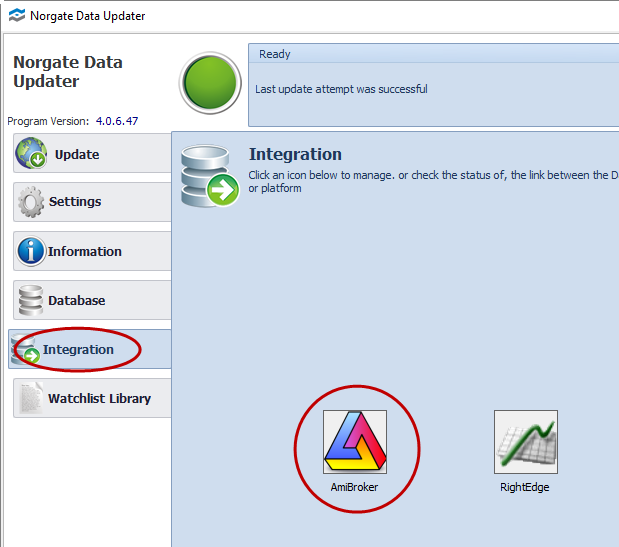 Now you can proceed to create an AmiBroker database that uses the Norgate Data Plugin as its data source.